Dr Ngon Vo is a General Paediatrician. She completed her paediatric training through the Sydney Children’s Hospital Network and has completed fellowships in Respiratory Medicine and General Paediatrics. She is a Fellow of the Royal Australasian College of Physicians. 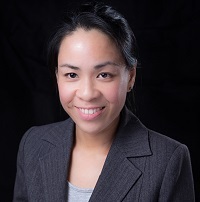 Dr Vo is currently working as a Consultant Paediatrician at Sydney Children’s Hospital and had a previous specialist position in Sydney South West Local Health District. Ngon is a passionate clinician with expertise in a variety of paediatric conditions affecting newborns through to adolescents. Her particular interests include infant health, growth and nutrition, paediatric respiratory conditions and working with children from vulnerable backgrounds.